Open Tuesday-Friday, 10am-2pm and by appointment. Denison Art Space in Newark is an exciting new multi-arts center located in downtown Newark, in the historic, newly renovated, Thirty-One West development. The space consists of a flexible gallery area, two music teaching studios, and an artist-in- residence studio that welcomes artists who are looking to take advantage of the rich history of downtown Newark. Denison Art Space in Newark will highlight local artists as well as artists from all around the world, working in new innovative ways across a wide range of mediums. The space will provide free events such as exhibitions, artist talks, hands-on workshops and much more. Our vision is that the space will bring together individuals from all generations, disciplines, and backgrounds to stimulate learning about, from, and with one another. 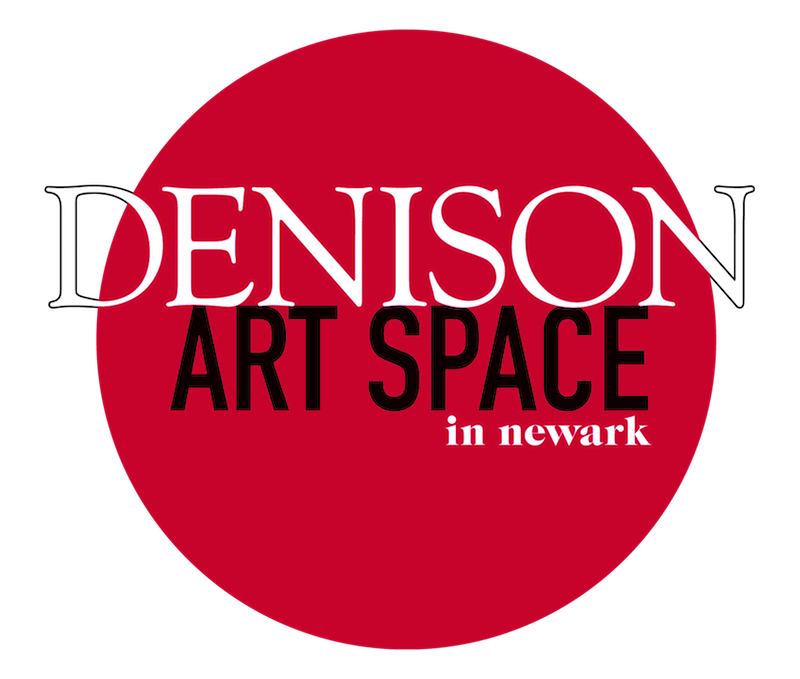 Denison Art Space in Newark is a gateway to the arts and to connecting surrounding communities by providing a collaborative environment centered on culture, arts, and creative expression. Join us for the reception of "Monumental!" an exhibition by German artists Anne and Christian Manss. "Monumental! ", an exhibition by German artists Anne and Christian Manss. Christian and Anne Manss presenting their workshop "Theatrical Halloween Makeup"
Christian and Anne Manss presenting their workshop "REMIX-Mixed Media Workshop"
Christian and Anne Manss presenting their workshop "Theater Stage Makeup"
DASiN and The Columbus Cello Quartet presents a performance by UCelli: a quartet of virtuoso cellists. A reception for our exhibition titled, 'Fragment.' This exhibition includes 2 artists based out of Chicago, IL, Brittany Laurent & Zespo. The Denison Art Space in Newark hosts an opening reception for an exhibition by senior studio art majors. Denison Art Space in Newark welcomes the Licking County Chamber of Commerce "Business After Hours" networking event. Denison Art Space in Newark holds an opening reception for "Cleveland in Newark," featuring artwork by seven Cleveland-based artists. Denison Art Space in Newark holds an opening reception for the Denison University Studio Art faculty group show titled "Union Block." Denison Art Space in Newark hosts a bead felting workshop with artist Chris Lang. Denison Art Space in Newark holds an opening reception for "The Art of Recovery" exhibits that embody the art of mental illness, addiction, and recovery. Thirty One West celebrates it's first anniversary with Thirty One Fest in downtown Newark. Denison Art Space in Newark presents an exhibition of art work by Denison students as part of Licking County FAMFEST 2017. Denison Art Space in Newark presents "Land of Legends: Printmaking Workshop" for children ages 5 to 10 as part of Licking County FAMFEST 2017. Denison Art Space in Newark presents "From Here & Beyond: Making Comics Workshop" for teens ages 12 to 15 as part of Licking County FAMFEST 2017. Denison Art Space in Newark holds a closing reception for "Familiar Streets," an exhibition by artist Jonathan Vega. Jonathan Vega '15 discusses his exhibit "Familiar Streets," which is on display at Denison Art Space in Newark. Jonathan Vega's new art exhibition in the Denison Art Space in Newark is an intriguing mixture of both the familiar and the obscure. Unleash your avant-garde at Surrealist Soiree, a free art event at Denison Art Space in Newark. Denison Art Space in Newark holds an opening reception for the Licking County Arts Member Show. The Denison Art Space in Newark hosts artist talks and an opening reception for an exhibition by senior studio art majors. Denison Art Space in Newark holds an opening reception for "The Billboard Project," a public-art outreach initiative. Denison Art Space in Newark welcomes artist Tyler Davis presenting a silk screening workshop. Denison Art Space in Newark welcomes artist Tyler Davis presenting a workshop titled "Make Your Own Zines." Denison Art Space in Newark welcomes artist Blake Turner presenting a workshop on making manifesto posters. Denison Art Space in Newark welcomes artist Cudelice "CJ" Brazelton presenting the workshop "Activator/Ties Between Social Content, Fabric and the Body." The Denison Art Space in Newark holds an exhibition opening for "Columbus in Newark." Denison Art Space in Newark welcomes ceramic artist Joanna Powell for an artist's talk. Denison Art Space in Newark holds an exhibition opening for artist-in-residence Joanna Powell featuring artwork made during the residency. The Denison Museum and the Department of Studio Art present a screening of "Art in the Twenty-First Century: Vancouver" at Denison Art Space in Newark. Denison Art Space in Newark welcomes Kelly O'Briant, artist in residence. Denison Art Space in Newark hosts grand opening event. The Denison Art Space in Newark hosts "Weaving Dialogues," a series of community conversation open houses. The Denison Art Space in Newark Space holds an exhibition titled "Cups of Conversation." The Denison Art Space in Newark hosts a community open house with artist-in-residence Jeni Hansen Gard. The Denison Art Space in Newark holds a ceramic demonstration with Jennifer Hansen Gard and Lauren Karle, artists-in-residence. The Newark Art Space hosts an opening reception for an exhibition of work by Denison senior studio art majors.